The truth about sulfate free shampoos/conditioners + Brazilian Blowout. DON'T BE FOOLED by the sulfate-free shampoo and conditioner craze and wash your Brazilian Blowout down the drain! Instead, use the one that's specially formulated to work with your treatment and not against it. With the Açai Anti-Frizz Aftercare line, you can maintain your results and extend the life of your treatment to enjoy smooth, frizz-free, shiny tresses for up to 12 weeks. Did you know other sulfate-free shampoos and conditioners actually shorten the life of a Brazilian Blowout professional smoothing treatment because they don’t contain the ingredients found in the Brazilian Super Nutrient Complex? The Brazilian Super-Nutrient Complex is a blend of natural antioxidants that conditions your hair cuticle, ensuring that every time you wash, condition, and style your hair, you'll give it a healthy boost of nutrients that compliment your smoothing treatment while adding shine and flexibility. Where to pick them up. 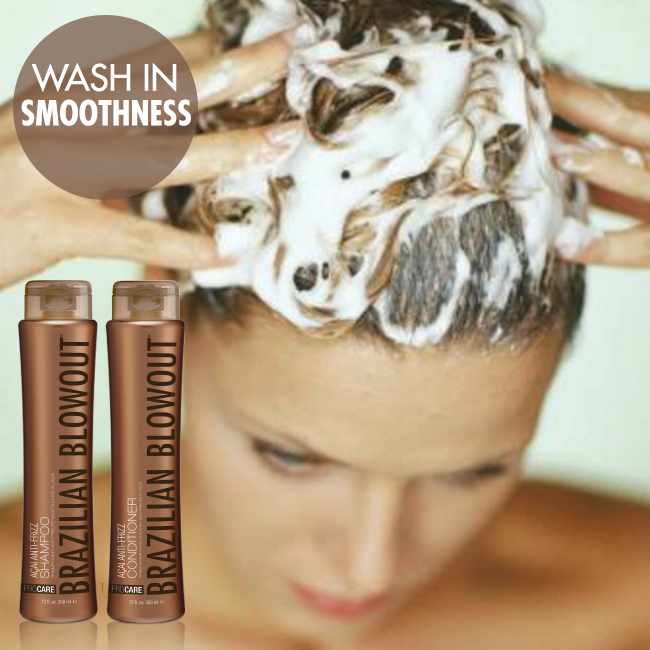 Brazilian Blowout products are ONLY AUTHENTIC AND GUARANTEED WHEN PURCHASED AT AUTHENTIC PROFESSIONAL BEAUTY SALONS or purchased from our official webstore. Please note that we do NOT sell on Amazon or other online beauty sites or other mass retailers, so know before you buy whether or not you’re getting an authentic product. Start 2016 With a New Skill Set! You don't need to attend overpriced classes or spend long days in a crowded classroom to master new techniques designed to give all of your clients the hair that they've always wanted. Brazilian Blowout classes are consistently praised (and attended) by savvy stylists from coast to coast because they learn the latest tips and tricks plus proven marketing strategies in an exciting atmosphere where salon professionals encourage and support one another. It’s hard to imagine how much easier or fun it can possibly be to boost your career in 2 hours with no cost to you. Honestly, what are you waiting for? 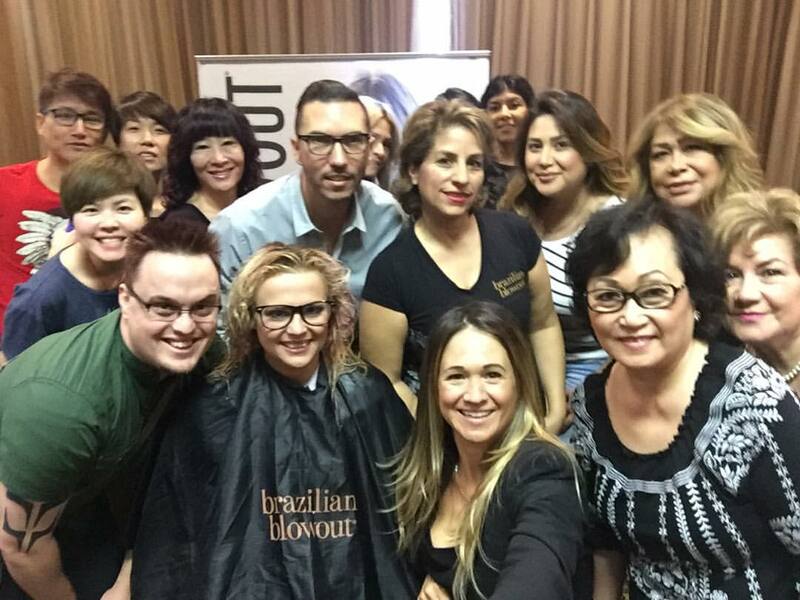 Click here to find a free Brazilian Blowout class in your area!